There are some definite highlights to this job and one of them is getting to visit Zambia and see everybody we are working with out there and all the amazing things that are happening at the schools we partner with! On our recent trip we got to be part of a really special day – the day when Greater Joy School gave out their alternative gifts to people in the community. 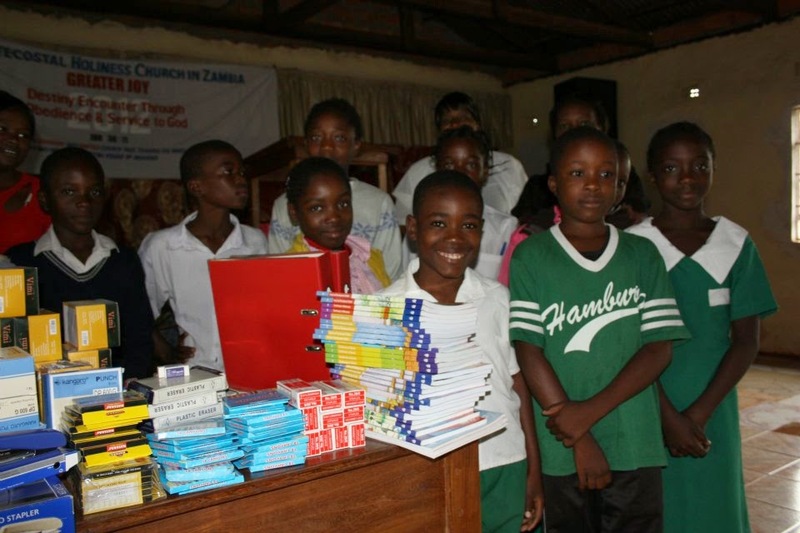 The gifts included mosquito nets, food parcels, braziers & charcoal, flip flops, blankets and bicycles! The atmosphere in the church was one of celebration as everyone cheered as others went up to collect their gifts; gifts that were going to make a big difference to these widows and families in the community. Previous Previous post: Beyond the Bike gets heavy! Next Next post: Meet the Beyond Ourselves team!